Publicado el 22 de marzo de 2019 en Trupadoor Rec. 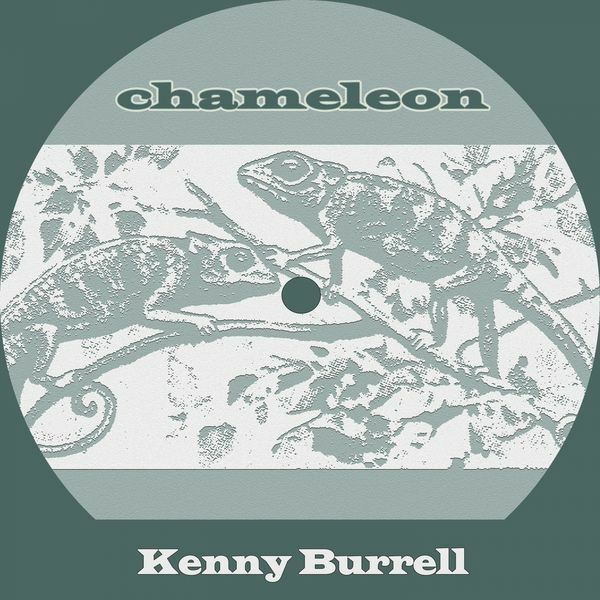 Kenny Burrell, Composer, Author, Artist, MainArtist Copyright : 2019 Trupadoor Rec. 2019 Trupadoor Rec. Kenny Burrell, Artist, MainArtist - Burrell, Composer, Author Copyright : 2019 Trupadoor Rec. 2019 Trupadoor Rec. Johnny Mercer, Composer, Author - Harold Arlen, Composer, Author - Kenny Burrell, Artist, MainArtist Copyright : 2019 Trupadoor Rec. 2019 Trupadoor Rec. Leo Robin, Composer, Author - Ralph Rainger, Composer, Author - Kenny Burrell, Artist, MainArtist Copyright : 2019 Trupadoor Rec. 2019 Trupadoor Rec. Johnny Burke, Composer, Author - Jimmy Van Heusen, Composer, Author - Kenny Burrell, Artist, MainArtist Copyright : 2019 Trupadoor Rec. 2019 Trupadoor Rec. Kenny Burrell, Artist, MainArtist - Kenneth Earl "Kenny" Burrell, Composer, Author Copyright : 2019 Trupadoor Rec. 2019 Trupadoor Rec. Horace Silver, Composer, Author - Kenny Burrell, Artist, MainArtist Copyright : 2019 Trupadoor Rec. 2019 Trupadoor Rec. Kenny Burrell, Artist, MainArtist - Mobley, Composer, Author Copyright : 2019 Trupadoor Rec. 2019 Trupadoor Rec. Frankie Laine, Composer, Author - Kenny Burrell, Artist, MainArtist - Carl T. Fischer, Composer, Author Copyright : 2019 Trupadoor Rec. 2019 Trupadoor Rec. George Gershwin, Composer, Author - Ira Gershwin, Composer, Author - Kenny Burrell, Artist, MainArtist Copyright : 2019 Trupadoor Rec. 2019 Trupadoor Rec. Andy Razaf, Composer, Author - Kenny Burrell, Artist, MainArtist - Don Redman, Composer, Author Copyright : 2019 Trupadoor Rec. 2019 Trupadoor Rec. Young, Composer, Author - Kenny Burrell, Artist, MainArtist Copyright : 2019 Trupadoor Rec. 2019 Trupadoor Rec. Harold Arlen, Composer, Author - Kenny Burrell, Artist, MainArtist - Truman Capote, Composer, Author Copyright : 2019 Trupadoor Rec. 2019 Trupadoor Rec. T-Bone Walker, Composer, Author - Kenny Burrell, Artist, MainArtist Copyright : 2019 Trupadoor Rec. 2019 Trupadoor Rec. Kenny Burrell, Artist, MainArtist - Eddie Cooley, Composer, Author - John Davenport, Composer, Author Copyright : 2019 Trupadoor Rec. 2019 Trupadoor Rec. Elliott, Composer, Author - Young, Composer, Author - Kenny Burrell, Artist, MainArtist Copyright : 2019 Trupadoor Rec. 2019 Trupadoor Rec. Kenny Burrell, Artist, MainArtist - Jack McDuff, Composer, Author Copyright : 2019 Trupadoor Rec. 2019 Trupadoor Rec. Duke Ellington, Composer, Author - Mack David, Composer, Author - Kenny Burrell, Artist, MainArtist Copyright : 2019 Trupadoor Rec. 2019 Trupadoor Rec. Kenny Burrell, Artist, MainArtist - Will Davis, Composer, Author Copyright : 2019 Trupadoor Rec. 2019 Trupadoor Rec. Kenny Burrell, Artist, MainArtist - James Oscar "Jimmy" Smith, Composer, Author Copyright : 2019 Trupadoor Rec. 2019 Trupadoor Rec. Kenny Clarke, Composer, Author - Kenny Burrell, Artist, MainArtist Copyright : 2019 Trupadoor Rec. 2019 Trupadoor Rec. Jr., Composer, Author - Kenny Burrell, Artist, MainArtist - Fletcher Hamilton Henderson, Composer, Author Copyright : 2019 Trupadoor Rec. 2019 Trupadoor Rec. Kenny Burrell, Composer, Author, Artist, MainArtist - Major Holley Jr., Composer, Author Copyright : 2019 Trupadoor Rec. 2019 Trupadoor Rec. Kenny Burrell, Artist, MainArtist - Waldron, Composer, Author Copyright : 2019 Trupadoor Rec. 2019 Trupadoor Rec. Al Stillman, Composer, Author - Kenny Burrell, Artist, MainArtist - Ernersto Lecuona, Composer, Author Copyright : 2019 Trupadoor Rec. 2019 Trupadoor Rec.